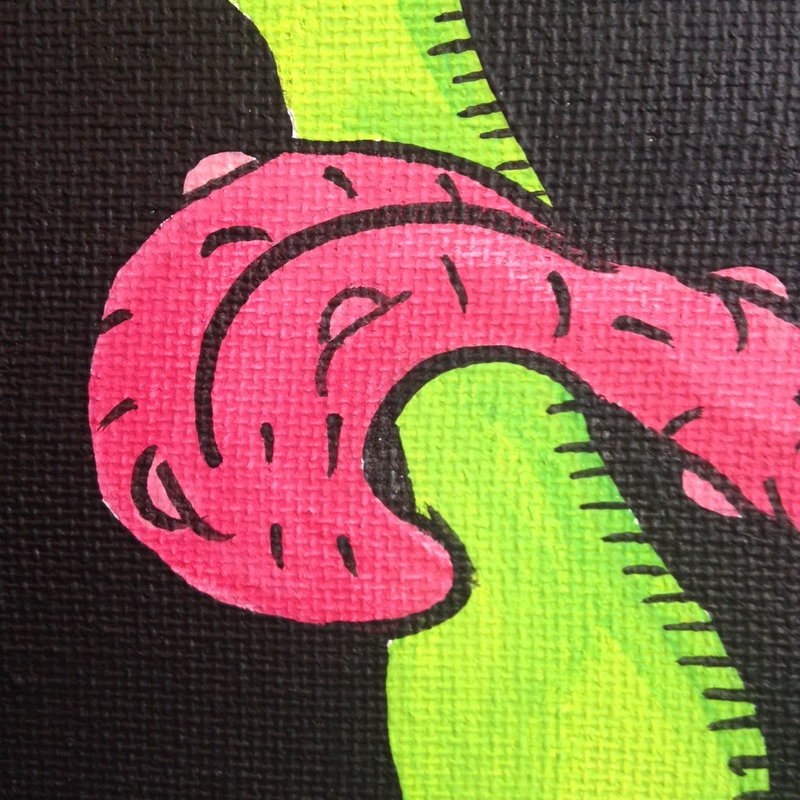 It’s Day 340 and I am pretty stoked for today’s artist! I loved drawing in his style as a kid and had so much fun with it today. 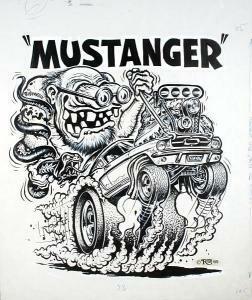 Please join me in honoring Ed “Big Daddy” Roth today! 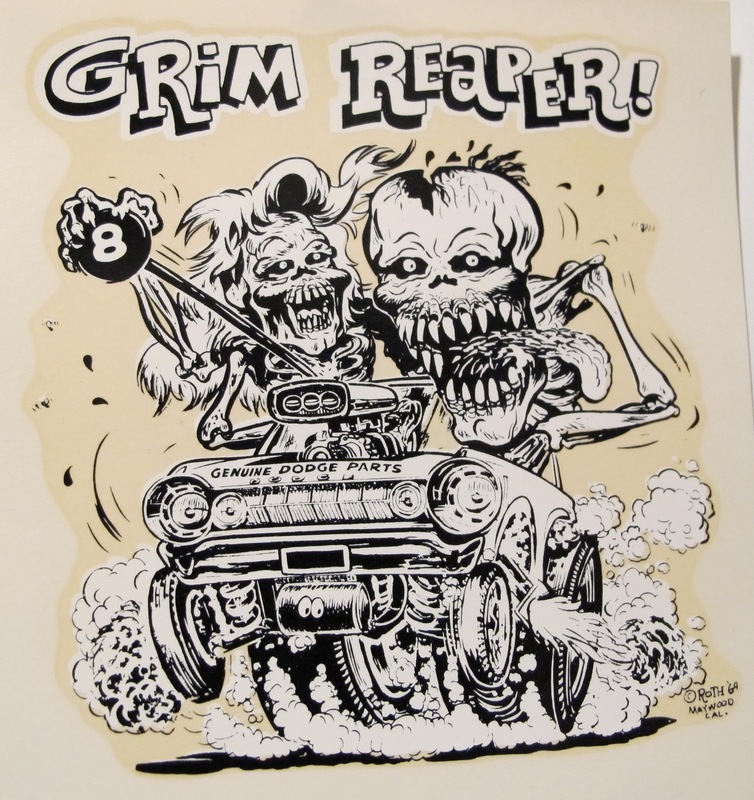 Ed “Big Daddy” Roth (March 4, 1932 – April 4, 2001) was an artist, cartoonist, pinstriper and custom car designer and builder who created the hot-rod icon Rat Fink and other extreme characters. Roth was a key figure in Southern California’s Kustom Kulture and hot-rod movement of the late 1950s and 1960s. Roth was born in Beverly Hills, California. He was the son of Marie (Bauer) and Henry Roth. He grew up in Bell, California, attending Bell High School, where his classes included auto shop and art. 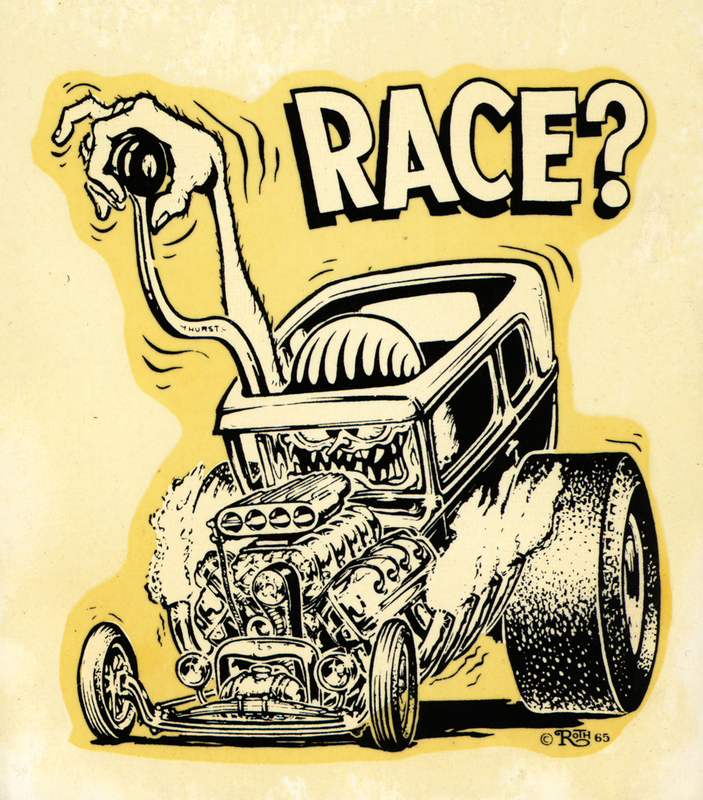 Roth is best known for his grotesque caricatures — typified by Rat Fink — depicting imaginative, out-sized monstrosities driving representations of the hot rods that he and his contemporaries built. Roth began airbrushing and selling “Weirdo” t-shirts at car shows and in the pages of Car Craft magazine as early as July 1958. By the August 1959 issue of Car Craft “Weirdo shirts” had become a full blown craze with Roth at the forefront of the movement. The article featured Roth along with fellow Kustom Kulture pioneers Dean Jeffries and Pete Millar. Inspired by Roth and Barris Kustoms (whose shirts were airbrushed by Dean Jeffries),Detroit native Stanley Miller, a.k.a. “Stanley Mouse”, began advertising his own shirts in the pages of Car Craft in January 1961. 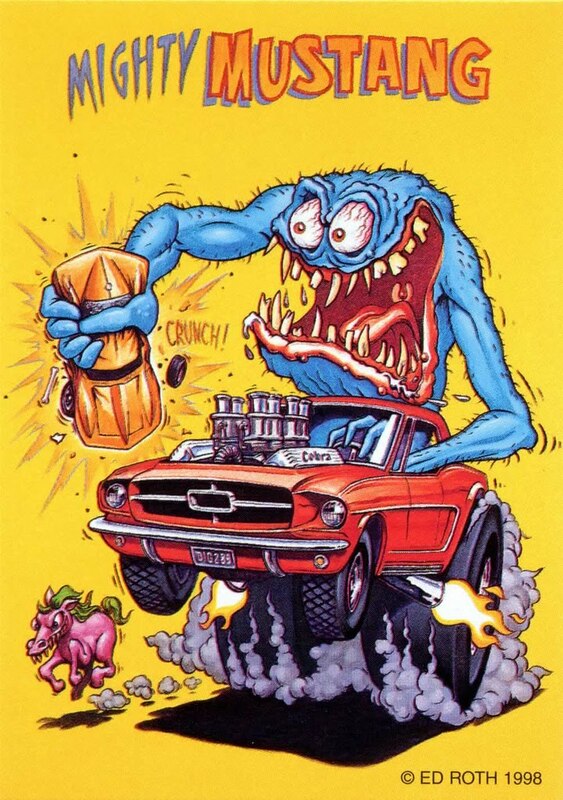 The lesser known Rendina Studios of Detroit and Mad Mac of Cleveland also joined in on the monster “weirdo” shirt craze, but Roth was certainly the man who widely popularized the “Monsters in hot rods” art form. Craft. The car was covered in Car Craft and Rod and Custom, and appeared at custom car and hot rod shows. Other hot rods include The Beatnik Bandit(1961), The twin Ford engined Mysterion (1963), The Orbitron (1964), and The Road Agent (1965) among others. In 1965, Roth’s surf buggy, the Surfite was featured in the film Beach Blanket Bingo starring Frankie Avalon and Annette Funicello, and also in Village of the Giants, featuring Beau Bridges and Tommy Kirk. One of Roth’s personal drivers was a tangerine orange 1955 Chevy 2-door post which he ran a Ford 406 cu. in. engine under the hood, he drove this car to his shop every day for years . In 1962 the Revell model company began selling plastic models of Roth’s cars and from 1963 to 1965 Revell also manufactured plastic models of many of Roth’s monsters, including Rat Fink, Brother Rat Fink, Drag Nut, Mother’s Worry, Mr. Gasser and other weird creatures created by Roth. Revell continues to re-issue Roth’s Monsters and Kustom Car kits. In 1963 The Hawk Model Company issued its line of “Weird-Oh’s” plastic models and Marx Toys issued Nutty Mads, both clearly inspired by Roth’s work. Both items were quite popular in the mid-sixties and remain sought after collector’s items to this day. Hawk Models continues to re-issue its “Weird-Oh’s” periodically. 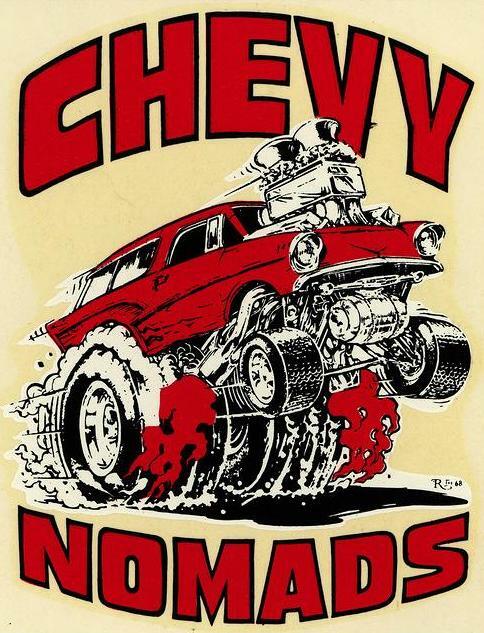 designed several of his cars and t-shirt designs beginning in 1964, and Kustom Kulture icon Robert Williams who began working for Roth in late 1965. In the mid 1960s Roth began customizing motorcycles. Mainstream motorcycle magazines refused to run his articles and ads, so he started his own publication called Choppers, which featured articles on extending forks, custom sissy bars, etc. 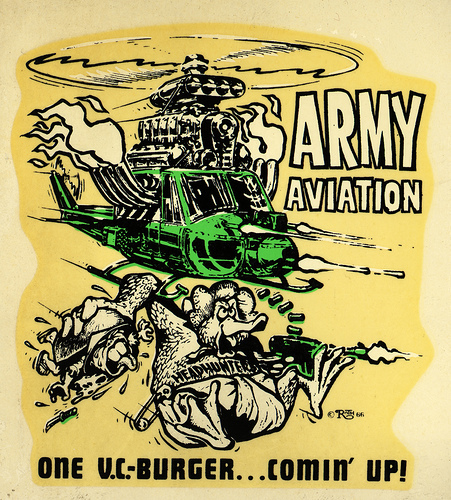 It was a small, black and white publication that ran from 1967 to 1970, and was the first magazine ever to exclusively feature custom motorcycles, or choppers. Roth also built the first known VW powered trike. Roth built many trikes for himself and others including Candy Wagon, California Cruiser, Secret Weapon, Rubber Ducky and The Great Speckled Bird. In 1968 Mattel introduced Hot Wheels and Roth’s Beatnik Bandit was one of the first 16 die-cast toy cars produced by the company. From 1970 to 1975 Roth worked for Brucker’s Movie World and their “Cars of the Stars” display. Brucker said that Roth was a very loyal guy and a very hard worker, even though he wasn’t making much money. Brucker said that when building something, Roth had a natural knack for seeing how things fit together — he would build something in a few days which would take other guys a couple of weeks. Although Roth was a laid-back, amiable guy, Brucker also remembers that Roth was a hell of a fighter and if anyone came through the museum causing trouble, Roth would put them in line. He was fearless. Roth’s Druid Princess was one of the many cars displayed there. Also during the 1970s, Roth worked for Knott’s Berry Farm as a sign painter and artist. He worked there for 10 years until about 1980. 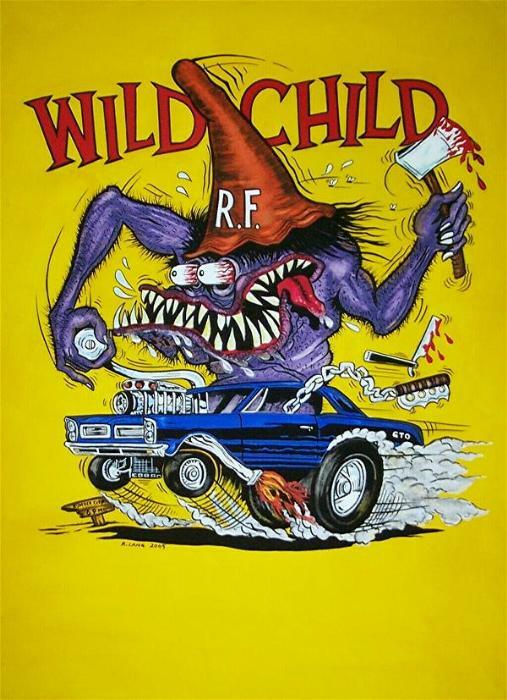 In December 1977 Robert and Suzanne Williams along with Skip Barrett organized the first Rat Fink Reunion to celebrate the legacy of Roth. 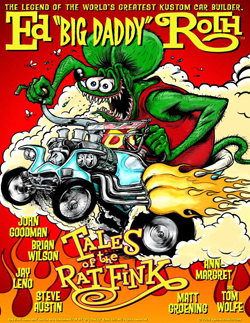 Rat Fink Reunions are still held to this day at the site of Roth’s final residence in Manti, Utah and near Los Angeles. 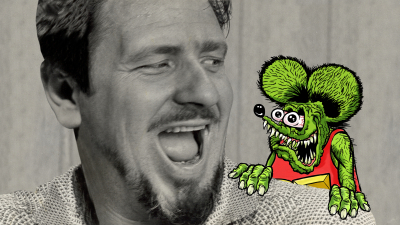 the exhibition titled, “Rat Fink Meets Fred Flypogger Meets Cootchy Cooty” were Roth, Willams, and Mouse and their creations. 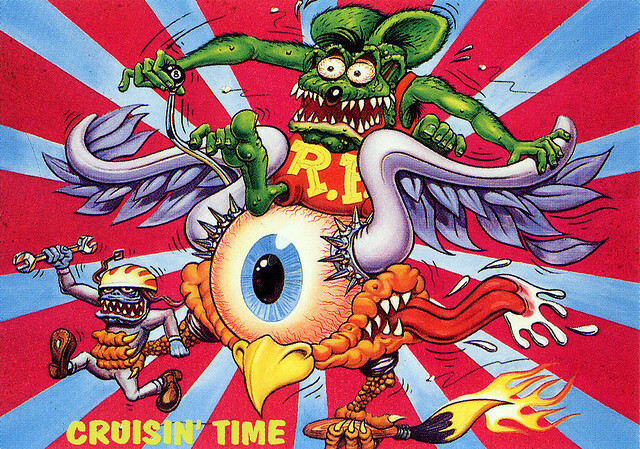 The L.A. Times placed Roth’s Rat Fink on the cover of the Culture section December 20, 1993 with a full article about the entire exhibition. A Roth custom car that was the subject of a number of articles in automotive enthusiast magazines (most notably, the Orbitron was featured in Car Craft magazine in 1965) but was feared lost in subsequent decades was discovered in Mexico in the summer of 2008. The Orbitron was built in 1964. The car, in dilapidated, inoperative condition, had been parked for some time in front of an adult bookstore in Ciudad Juárez. The owners of the shop were also the owners of the car. It was purchased and taken back to the United States by Michael Lightbourn, an American auto restorer who did business in Mexico. 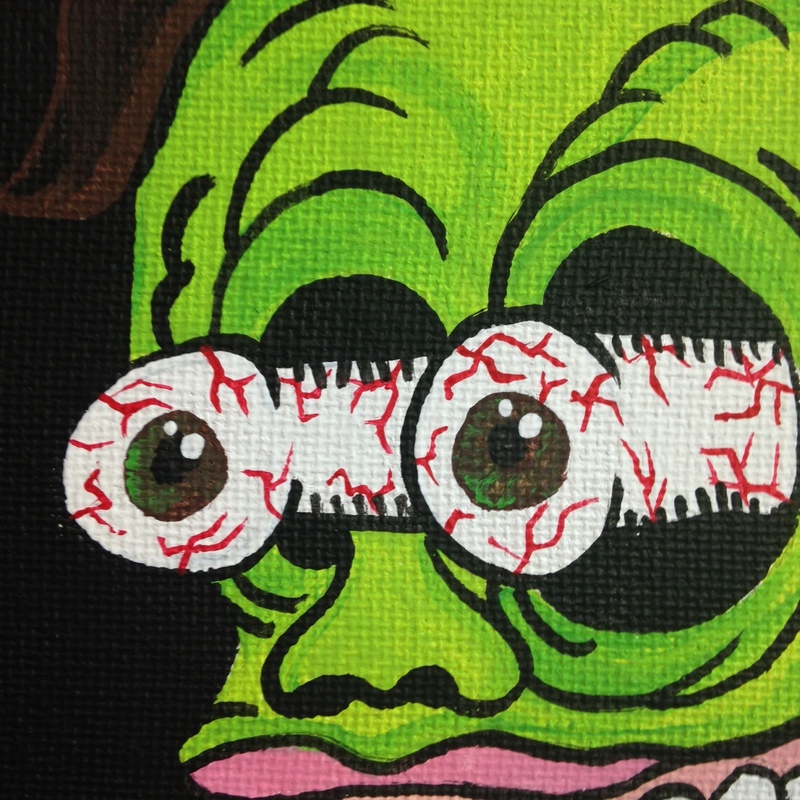 The Orbitron has been restored to its original condition by Beau Boeckmann. Roth was active in counterculture art and hot-rodding his entire adult life. At the time of his death in 2001, he was working on a hot-rod project involving a compact car planned as a departure from the dominant tuner performance modification style. Roth had his shop at 4616 Slauson Avenue in Maywood, California (about 8 miles southeast of downtown Los Angeles) that he started in early 1959. He ran an ad in Car Craft magazine that year announcing the new address of his shop. For a period in the mid 1960s, Roth associated with various Outlaw motorcycle clubs who congregated at his shop as a lot of bikers were then living in Lynwood and Maywood. Musicians, police officers, FBI agents and various people involved in Hollywood would visit as well, providing an environment for one of Ed Roth’s most creative periods, and an important period in Kustom Kulture. Roth incorporated the iron cross into his artwork (surfers had previously been using the iron cross as a symbol of youthful, carefree rebellion). Roth didn’t own a bike at the time so he bought a brand-new Harley-Davidson Sportster and then proceeded to paint its gas tank a flat black color. Roth painted white lettering on one side of the tank that said: “Love is Hate”; and on the reverse side: “Hate is Love”. amounts of money, but soon some of the bikers started to feel that Roth was “getting rich” off of them and they wanted a larger cut. Despite Roth’s agreement, rumors began to circulate that a certain club intended to attack Roth’s shop. The gang arrived at the shop with guns drawn, but Roth’s crew defended themselves. Roth challenged the head biker to a one-on-one fist fight to settle matters in the middle of the shop. Eventually Roth gained the upper hand and “just started to beat the living crap out of the guy”. After this incident, Roth burnt his biker posters, leaving the lifestyle behind at the same time. Things started winding down at the shop in the late 1960s, and in 1970 the shop closed. Ed Roth was married four times. 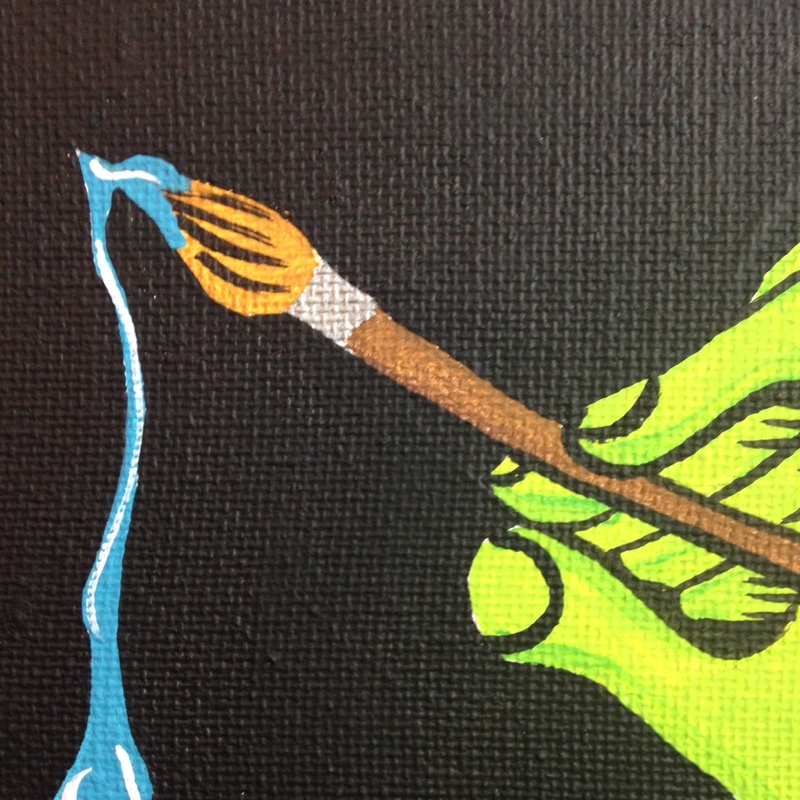 His fourth wife, Ilene, lives in Manti, Utah, where Ed Roth spent the final years of his life. Roth joined The Church of Jesus Christ of Latter-day Saints in 1974. Roth shaved off his goatee and was heavily involved in social work through his church. His brother Gordon also became a Mormon. Since his death, an annual “Big Daddy Roth” Open House has been held in Manti around the anniversary of his death. The museum that Ilene Roth created to honor her late husband includes displays of Ed’s art work and other memorabilia. 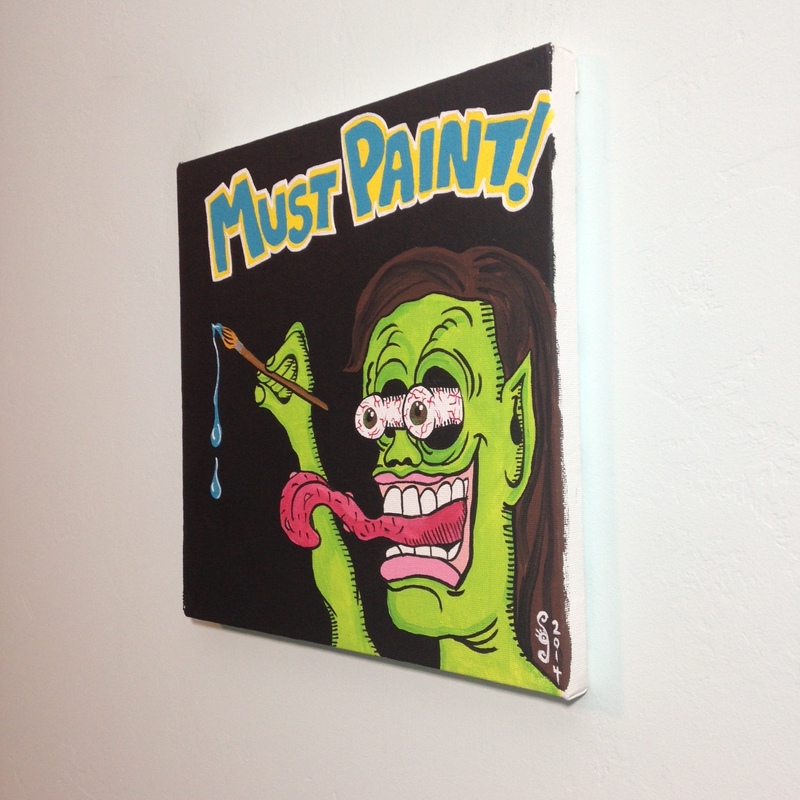 Roth’s son Darryl has been working on collecting and displaying his father’s work. 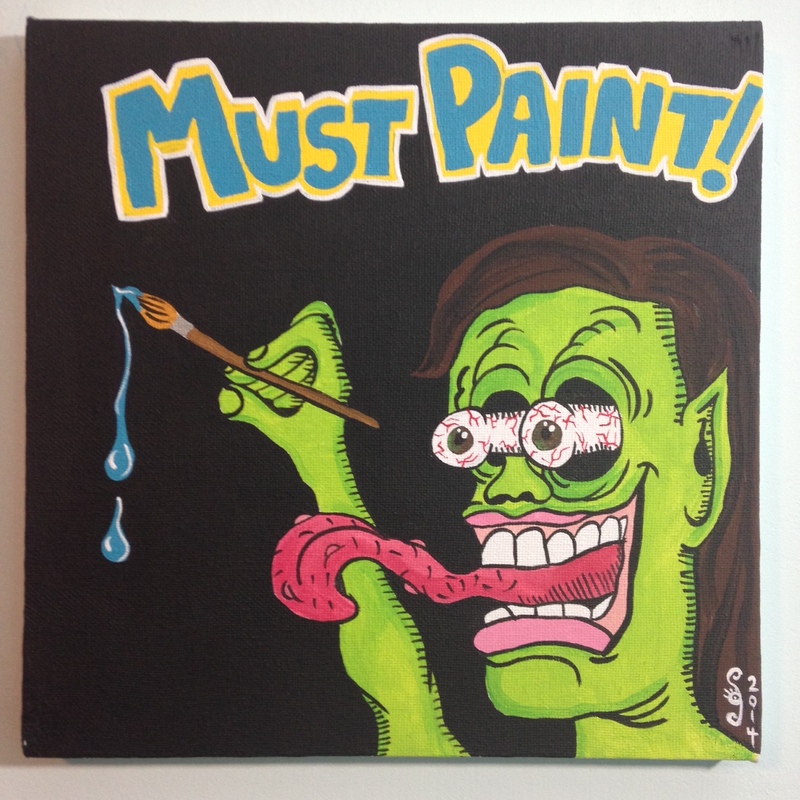 I hope you enjoy my little portrait I did of myself in the Ed Roth style! It brought back a lot of my childhood like scribbling drawings during class. 🙂 I will see you tomorrow on Day 341.